If you’re looking for a workout plan that will get you ripped, and improve your performance in the gym, Boss Shred will get you there. 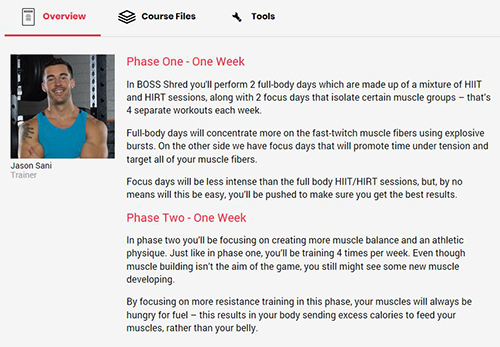 Boss Shred is comprised of intense, muscle splitting, and heart pounding workouts that will leave you feeling exhilarated, and after 12 weeks, totally shredded. With the help of professional trainers in Boss Shred, you know you’re in good hands. Let’s dive into this Boss Shred review to see what it’s all about. 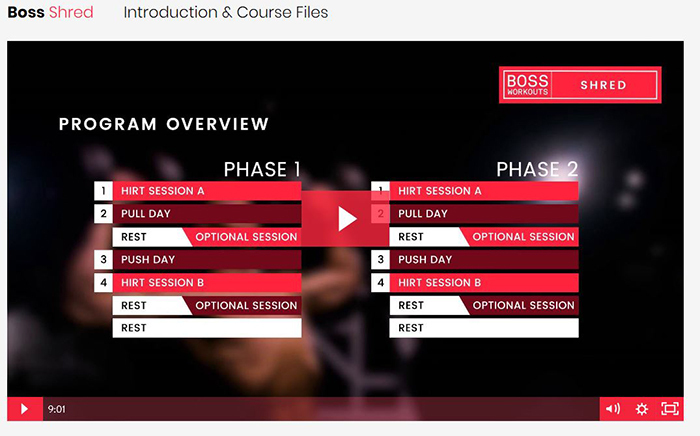 Inside Boss Shred, you’ll find a series of workouts that are split into two different phases. Each phase works different muscle groups, along with a variation in sets and reps. This is not an easy workout program, but nothing worth having ever came easy. In this Boss Shred review, we’ll show you all the details, and everything you’ll see once buying this awesome workout program by Boss Workouts. Boss Shred has been created by a team of fitness professionals, including personal trainers, academics, and nutrition experts. These pros decided to come together, and give the public what they wanted – a comprehensive transformation workout plan. We were lucky enough to get hold of two creators behind Boss Lean Mass; Lee Bell and Jason Sani. We asked them their thoughts on Boss Shred, here’s what they had to say. 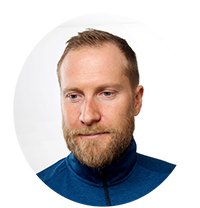 Here’s Lee explaining how Boss Shred was born: “After spending over a decade in the fitness industry training thousands of clients, and giving lectures on sport science. Myself and our team saw there was a lot of misinformation floating around the internet. Almost every week, we were approached by people wanting to change their lives for the better. They’d tell us about an online program they’d just started, or an article they read. Most of the stuff they told us was either way off, completely un-safe or just the opposite of what they actually needed to reach their goals. Jason Sani is the trainer inside Boss Shred. He’s been around the world training celebrities, and weekend warriors – successfully helping people change their lives for the better. The program is designed around three training protocols listed below. These will force your body to adapt, grow, and burn calories like you’ve never felt before. You have to remember that Jason Sani, and the team behind Boss Workouts are all experts in the field of nutrition and training. What does this mean? This means that you’re going to be pushing yourself hard in every workout – forcing your body to sculpt an awesome physique. You’ll literally have no choice but to look like an athlete at the end of this program. Not bad right? HIIT: High Intensity Interval Training – Short bursts of all-out cardio, followed by a recovery period. HIRT: High Intensity Resistance Training – Circuits of intense resistance, altering muscle groups within the circuit. Focus: Pull/Push Focus Days – Sessions targeting specific muscle groups through circuit training. 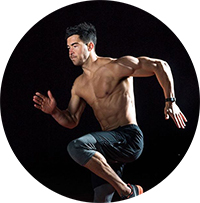 Video Series Workouts – 8 videos hosted by Jason Sani that are designed to melt the fat away. Training Guide – This contains every exercise inside Boss Shred to help you through the entire program. Nutrition Guide – Keeping track of your nutrition is key in any weight loss program. That’s why it was nice to see a comprehensive nutrition guide in Boss Shred. Recipe Guide – After seeing the nutrition eBook, it’s a great addition to have a complete recipe guide to back it up. If you were ever unsure about what to eat, this eBook will make everything clear. Training Chart – Progress is the key point of any training program, no matter what your goals are. That’s why it’s important to have somewhere to keep track of everything you do, which is made easy with the included ‘Training Charts’. The program not only works by burning an insane amount of calories (in a controlled way), you’ll also feel the benefits of what is known as EPOC (Excess Post Exercise Oxygen Consumption). It’s EPOC that will increase your metabolic activity during, and after exercise. Effectively, the harder you work, the more calories you’ll burn after each workout for up to 24-48 hours. Boss Shred is for anyone who’s looking for a way to lose weight, create the body of an athlete, and live a healthier life. 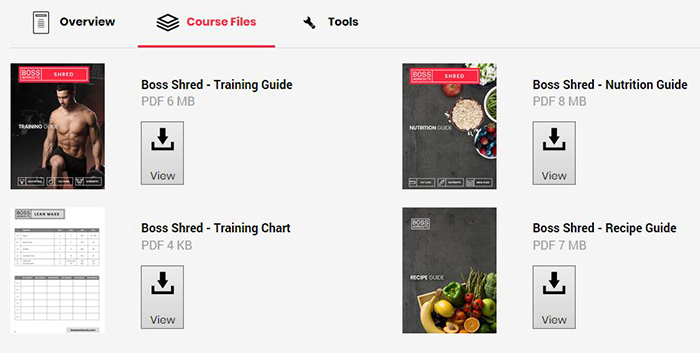 It doesn’t matter if you’ve never followed a plan before, or if you have and you’re looking to change things up – Boss Shred will be a great program for you. Bear in mind though, Boss Shred isn’t easy, you’ll be pushed hard. But if you commit to this plan, you’ll be sure to see amazing results. There’s no denying it, it’s tough. Boss Shred will change your entire body, both in appearance, and performance. Don’t feel intimidated, Boss Shred contains everything you need to make a successful transformation. Each video, workout, eBook, and detailed guide has everything you’ll need to get the physique you desire – you’re in the hands of professionals. It costs roughly $90 for Boss Shred. Which is a good price when you take into account the amount of content you’ll receive. Especially as it’s complete lifetime access. This is a great relief. As we all know how busy life can get with work, family commitments, and holidays etc. So, no matter if you fall off track or lose touch with the program, you can always pick up right where you left off. There you have it guys and girls, a complete review of Boss Shred. We hope you found this useful, especially if you’re looking to lose weight and obtain the physique of an athlete. Like we’ve already mentioned, this isn’t going to be easy. Don’t let that put you off though, even beginners can take part in this program. 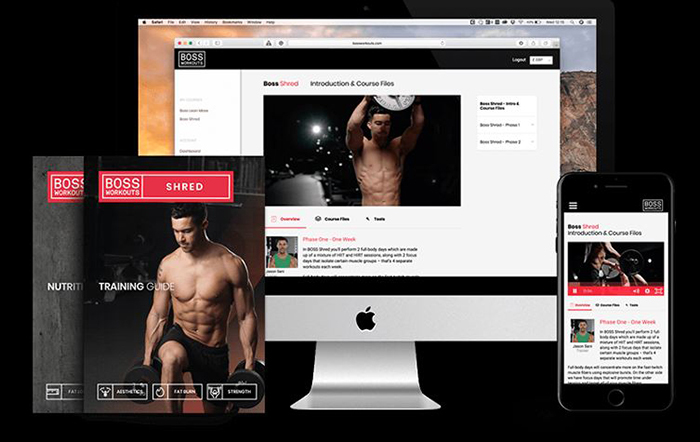 Every workout video, along with the information you get in the several (in depth) eBooks, will leave you feeling secure, and confident you’ll make it through to the end of Boss Shred. Like always, if you have any questions, please leave your comments below!